How many times has it happened that you have gone to a jazzy mall and have come back spending heavily, even though you had no plans of buying anything? Every salesperson has tricks up their sleeve that they use to bring in more sales. Well, shopping malls are no different. They too employ some of the most common tricks and gimmicks that make customers spend more, more and more. The biggest irony of these marketing gimmicks is that we get lured even though we know what those gimmicks are. Let’s again take a look at some of the most commonly used marketing gimmicks that shopping malls use to entice buyers and remind ourselves what to be aware of, when we step into malls. 1 Trolleys – Stock ’em up! 5 Sale – 50% off, really? Trolleys – Stock ’em up! And you thought trolleys were put there to help you out? Don’t be naive, wake up and smell the coffee! Trolleys are put for a reason. 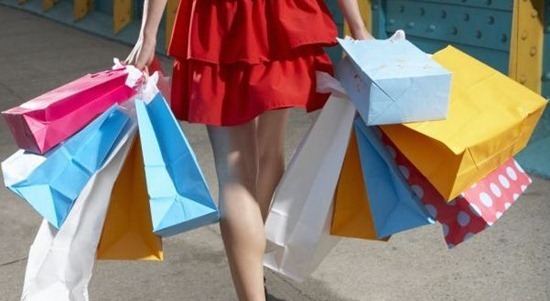 It is instinctive to take a trolley with you while shopping in a mall, even if you want to buy only a couple of items. Now that you have the trolley, you may be tempted to buy more stuff simply because it is easier to carry to the checkout counter. A trolley is a sure shot marketing gimmick used by malls since the very beginning of the ‘mall culture’. At most malls, you will notice that the ground floor will have shops that look interesting and tempting from the outside. These are the big boys of the retail chain who pay big bucks to have their shops on the ground floor because customers often walk in simply to ‘check out’ a shop and end up buying things. Typical shops that may be located on the ground floor and often make customers indulge in impulsive shopping are likes of Levi’s, Apple, Guess, Zara, Tanishq, Steve Madden, FabIndia, Louis Vuitton, etc. How many times have you simply stopped in your tracks simply to notice a cool earring that has been displayed in a small corner at the opening of a shop at the mall? Many? Well, we are not surprised because most of us too! Accessories like watches, bracelets, earrings, neck pieces, bangles, sunglasses, etc often carry maximum retail margin for shopping malls. To top it off, they are relatively easy to sell because they contribute to the cool, or shall we say, style factor of a person’s fashion appeal. This marketing gimmick is used by most shopping malls, especially in stores that have got anything to do with clothes or fashion accessories. What is one of the first things that we all notice when we enter a retail shop in a shopping mall? Apart from the jazzy displays and the trendy music, it is the smell factor that is often more inviting than the products themselves. Retail mall outlets that sell clothing, accessories and fragrances usually pack a punch when it comes to having a fragrant ambience. It is an easy, subtle and non-obstructive way gimmick of attracting customers to come in for a look as they pass a shop in a mall. Sale – 50% off, really? SALE – Tried, tested and proven since the day man learnt how to sell, isn’t it? The idea of having banners and promotional material that shout SALE is a marketing gimmick that shopping malls use to drive in customers and make them splurge on things they may have not bought if it wasn’t labeled as "sale". It is no surprise for someone to be drawn into a retail shop simply because they saw "50% off" or "SALE – Buy one get one free" Do remember folks, there are no free lunches! Trak.in on Google Plus Now – Lets hangout! The article is very helpful for all the people related to real estate.One can understand and gain knowledge…. It was a good read in real sense. I guess now its up to the buyers how they keep their temptation under the check. Your point wise description is very good skill. Keep Updating..